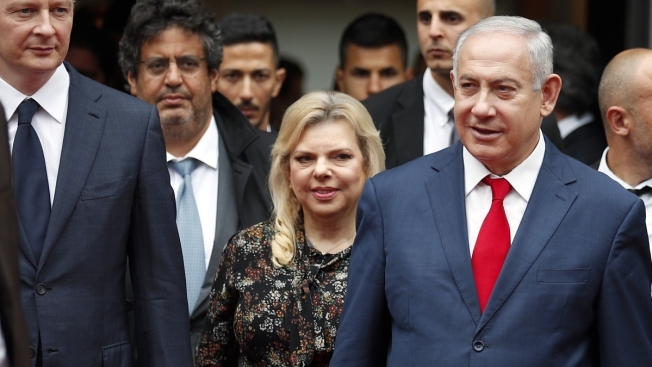 This June 6, 2018, file photo shows Israel's Prime Minister Benjamin Netanyahu (right) and his wife Sara Netanyahu walk out after their meeting with French Finance Minister Bruno Le Maire, second left, at Bercy Economy Ministry, in Paris. The wife of Prime Minister Benjamin Netanyahu was charged Thursday with misusing some $100,000 in public funds to order lavish meals from celebrity chefs, dealing an embarrassing blow to the country's first family and drawing fresh attention to a series of separate corruption investigations plaguing the prime minister. 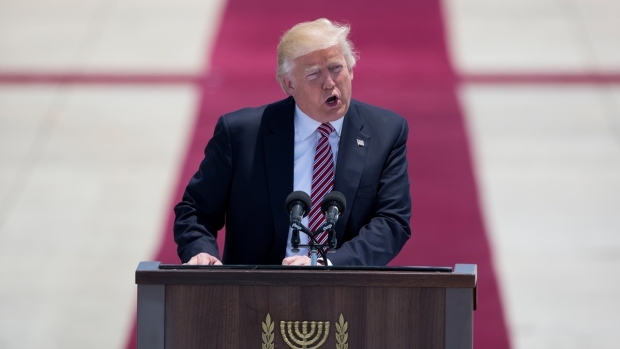 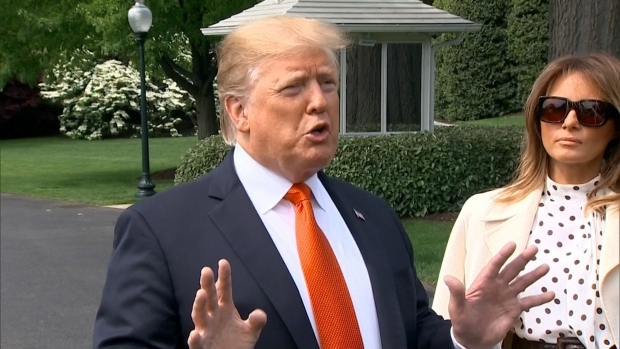 President Trump landed in Tel Aviv, Israel, on May 22, as part of his first international trip as president.